It’s been more than three months since parts of the Detroit area were flooded by torrential rains. People are still cleaning up the mess. Organizations from around the nation are helping, but it’s a huge job. In Berkley, AmeriCorps volunteers are in Duane Van Geison’s basement, cutting up waterlogged wood frames and cleaning up a mess. It smells like rotting wood and mildew. Upstairs, Van Geison is huddled by a space heater, trying to keep warm. He’s 74 years old and disabled. He's no longer able to walk downstairs. Incumbent Republican Governor Rick Snyder has been vague about what he would do in the next four years in office, saying only, "We're on the road to recovery." He also says he'll pursue "more and better jobs." Political observers expect Snyder will continue on the path he's established, working to stimulate businesses while keeping a tight rein on state spending. In an ad, Snyder says, "Our unemployment rate is the lowest in six years with nearly 300,000 new private-sector jobs." Listen to the podcast/radio version of the story. In the race for governor, few things are disputed more than education funding under Gov. Rick Snyder. 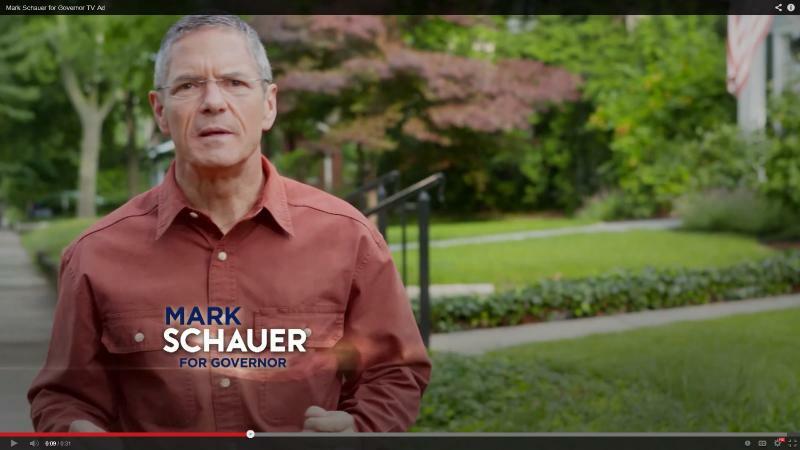 Challenger Mark Schauer claims Snyder cut funding by a billion dollars. Snyder has called that a lie and says he’s added a billion dollars. They’re both sort of right and they’re both wrong. “Both sides have truth. Neither is lying, per se,” said Mitch Bean. He is a former director of the Michigan House Fiscal Agency. That’s a nonpartisan agency within the Michigan House of Representatives. Now he’s a consultant and he’s been looking at the budgets to try to find out exactly what has happened to money for schools. Listen to the radio/podcast version. The bottom of the ballot is often ignored. That’s where the non-partisan races are located and includes candidates running for Michigan Supreme Court. Bridge Magazine’s Truth Squad recently reviewed a radio ad being aired on behalf of two of the candidates running for the three open seats. 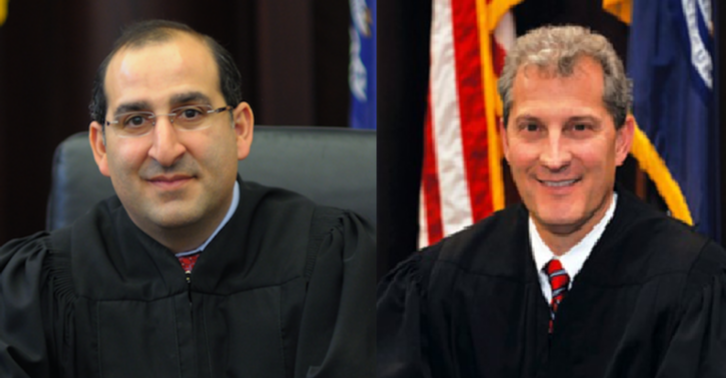 Incumbent Justices David Viviano and Brian Zahra were both put on the court by Gov. Rick Snyder. That statement colors the rest of the ad. How much can a governor really affect job creation? Politicians like to take credit for improving the economy, and challengers like to blame sitting officials for damaging it. In the race for governor in Michigan there have been plenty of both those kinds of accusations. Lester Graham with Michigan Watch examines how much politicians can really affect the economy. Outside a Michigan WORKS! employment office, I asked a few unemployed people if they thought any state politician could make a difference in creating jobs. Listen to the radio/podcast of the story here. The Truth Squad at Bridge magazine has had a busy summer looking at ads in the race for governor. 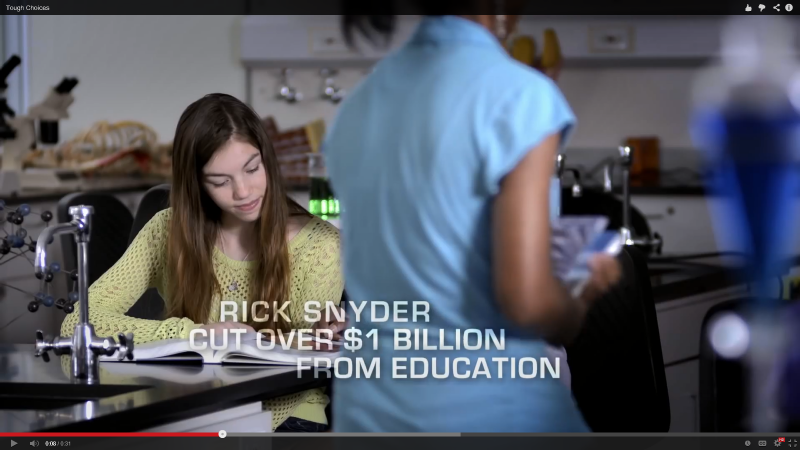 The close race between Republican Rick Snyder and Democratic challenger Mark Schauer has meant many ads on TV and online. Some are just not true. Others are slightly misleading. We went over a couple of them with the Truth Squad’s editor. The Truth Squad at Bridge magazine is handing out "fouls" to Democrats and Republicans. Political groups are airing ads on behalf of the candidates running for governor in Michigan. 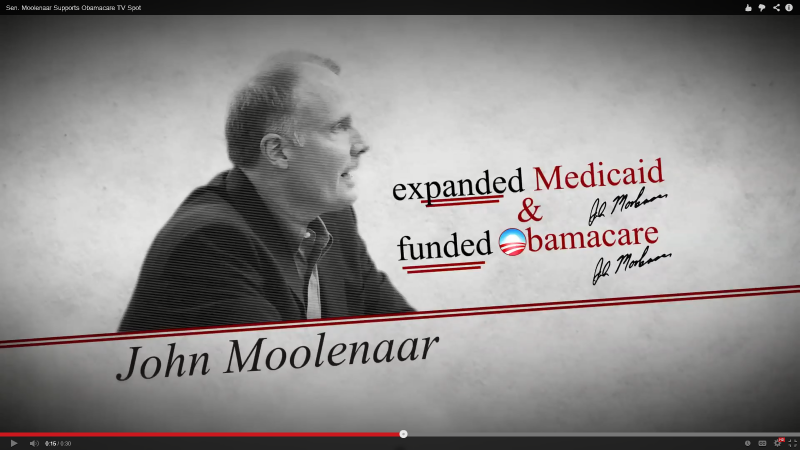 First let’s look at an ad put together by the Democratic Governors Association. In it a school teacher, Kim Stanley, ties together three separate issues. 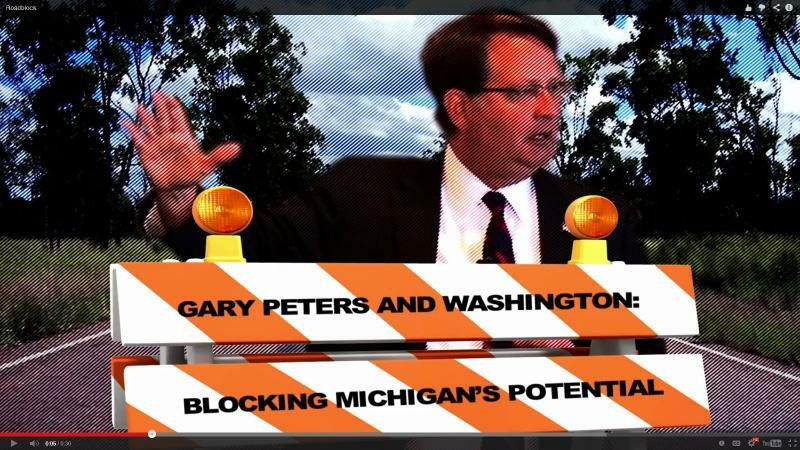 These two TV ads from the Land campaign attack the Democratic candidate, Congressman Gary Peters. What’s news, what’s fake news, and do all voters know the difference? Testing students to assess their progress in school could get a lot more political before the year is out. 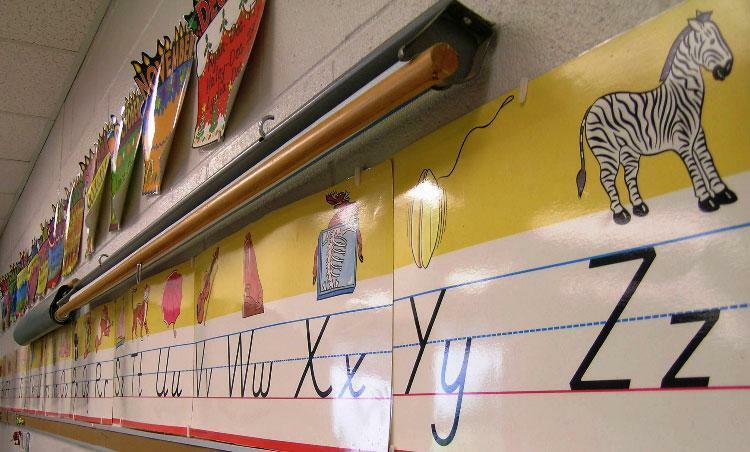 Legislators and the Michigan Department of Education clashed this year over a test to assess Common Core state standards. If the past is any clue, lawmakers with the help of the governor could simply take away the Department of Education’s authority and give it to a state agency more friendly to their point of view, such as Treasury. Gov. John Engler made exactly that kind of move several times during his time in office. Bridge Magazine’s Truth Squad is reviewing the ads and claims in the race for governor between incumbent Rick Snyder and challenger Mark Schauer. Now, that’s pretty standard political positioning, but Ron French with the Truth Squad says it’s unlikely, if not impossible, that only the wealthy are benefiting from the improvements in the Michigan economy since Rick Snyder took office. “For one example, the unemployment rate has dropped from 11 percent to 7.5 percent. The Truth Squad questions whether it’s only the wealthy who have gotten jobs during that time,” French said. Several political campaigns during the primaries got very nasty. Things haven’t been quite so nasty in the governor’s race … yet. Most of the ads we’ve seen about Gov. 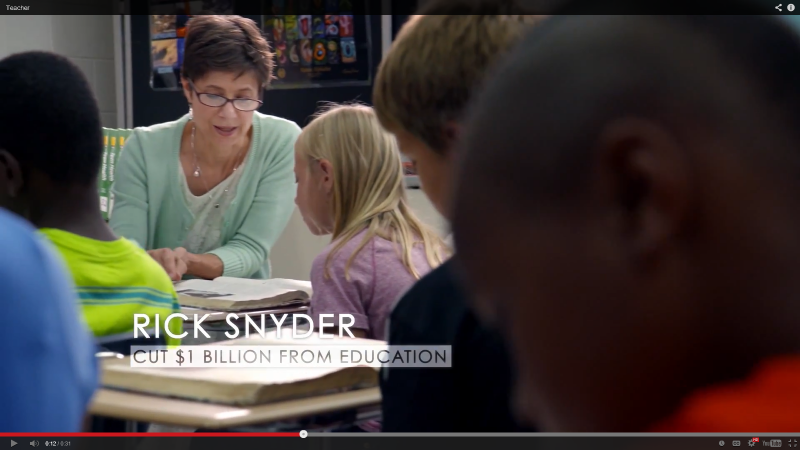 Rick Snyder and challenger Mark Schauer have not been ads the candidates bought. Outside groups produced them and aired them. 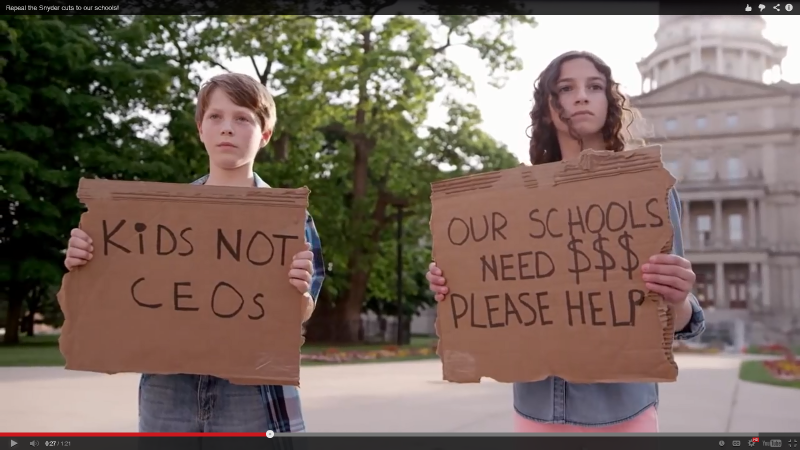 The Democratic Governors Association paid for an ad attacking Republican Gov. Snyder. Bridge magazine’s Truth Squad has been reviewing political ads in Michigan’s 3rd Congressional District's Republican primary campaigns. The Third Congressional district stretches from north of Grand Rapids to south of Battle Creek. 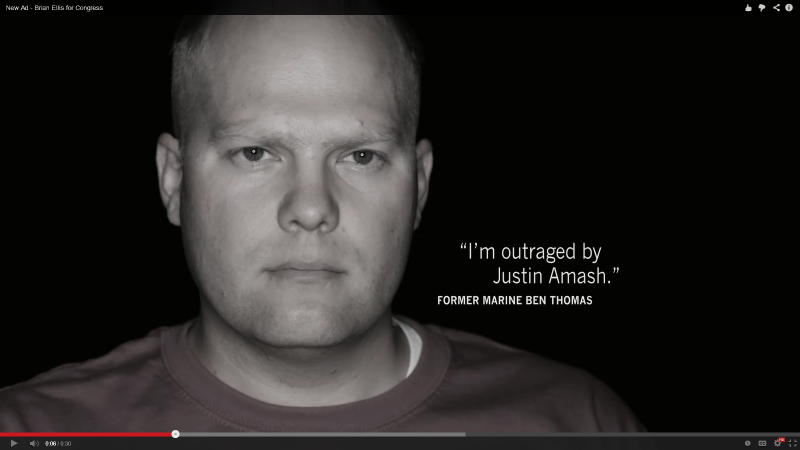 The incumbent is Justin Amash, a libertarian and Tea Party favorite. He’s being challenged in the Republican Primary by Brian Ellis, who has backing from many business leaders and the Michigan Chamber of Commerce. Bridge magazine’s Truth Squad has been reviewing political TV ads in Michigan’s Fourth Congressional District Republican primary. Primary elections in Michigan will be held on August 5. Voters in parts of Detroit and Wayne County will decide between two Democratic candidates in the 13th Congressional District. 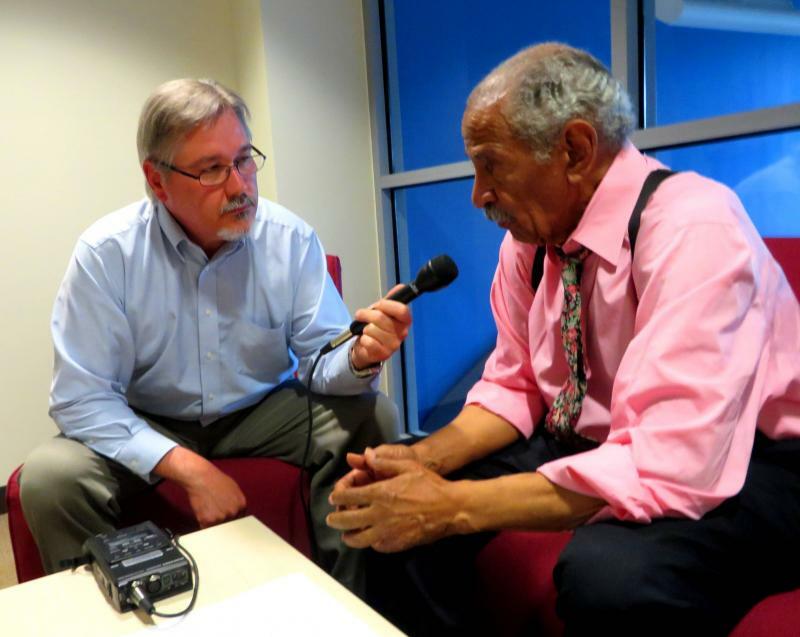 The incumbent is John Conyers Jr. The challenger is The Rev. Horace Sheffield III. Civil rights groups are asking to meet with Detroit officials about a controversial water shut-off campaign. The ACLU and the NAACP want to meet with Detroit Mayor Mike Duggan and Emergency Manager Kevyn Orr to find a “fair, humane, and meaningful review process,” which would include adequate notice and a hearing to determine whether individual water customers can’t or won’t pay their bills. Mayor to announce "Detroit Homecoming"
Detroit is going to hold a little get-together to persuade former residents to come back home. 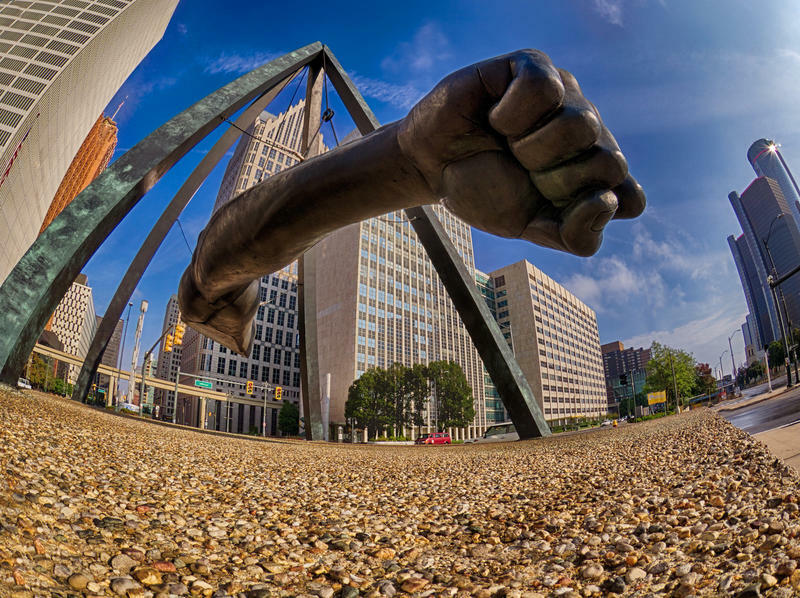 Mayor Mike Duggan wants former Detroiters to visit the city for a homecoming. The idea is to attract people who wrote off their relationship with the city. 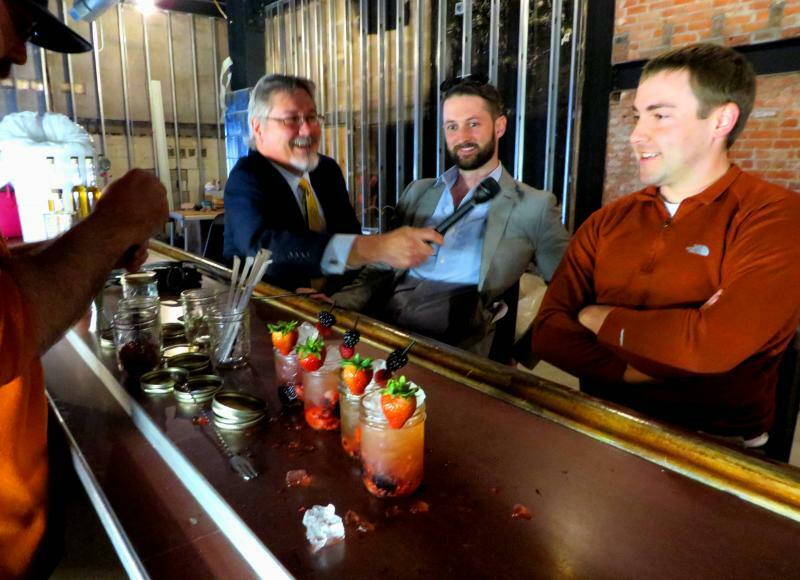 The "Detroit Homecoming" is aimed to bring them back for a visit, a little flirtation. After all, Detroit should be getting through its messy bankruptcy by then. It will be a little brighter, with thousands of new LED streetlights. The parks are being mowed. 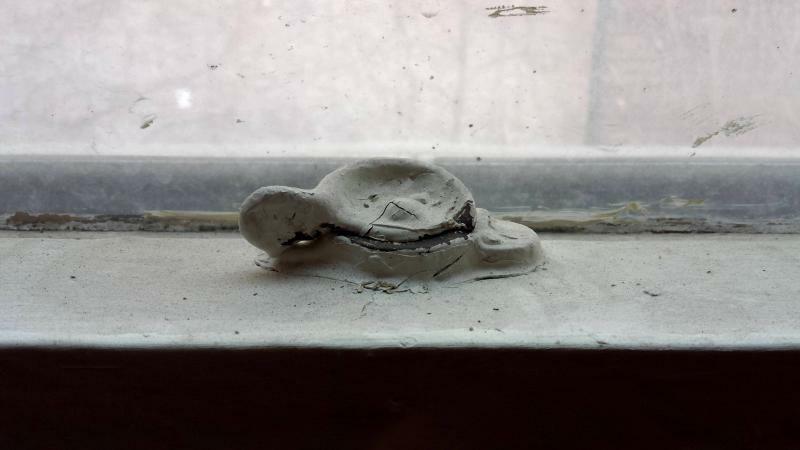 This week Michigan Radio and the Detroit Journalism Cooperative are looking at how the city is functioning under bankruptcy. 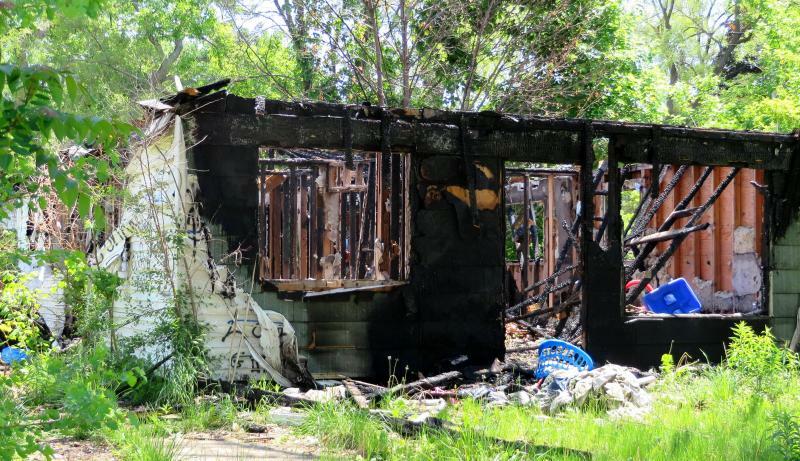 One of the biggest problems facing Detroit is the huge number of abandoned houses, buildings, and vacant lots. 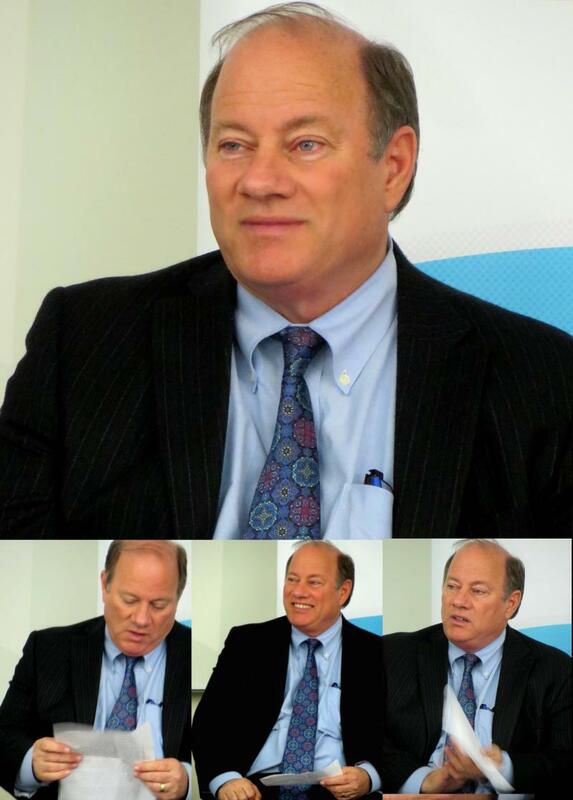 Here's a look at what’s changed in the six months since Mayor Mike Duggan took office. Workers removed some of the plywood covering up a house in the Osborn neighborhood on Sunday to allow potential buyers to check out one of the houses the city will put up for auction. Saturday, people visited available houses in the Boston-Edison neighborhood. 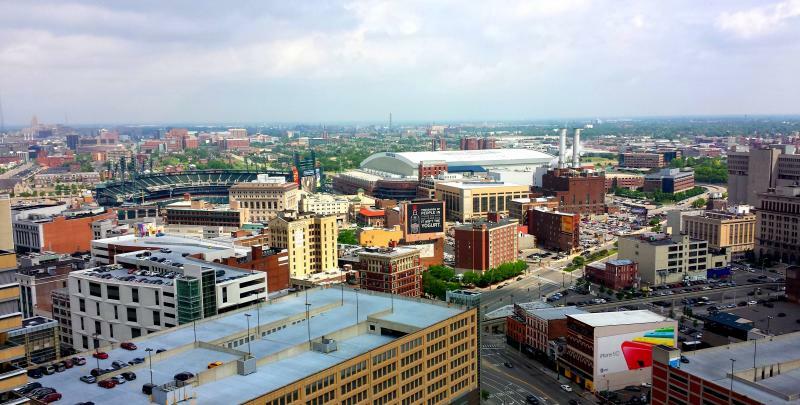 Detroit owns 16,000 properties. Some of them are houses in good enough condition to sell. Bidding starts at $1,000, but the buyers have to bring the property up to code and either live in it or rent it to someone. Detroit officials are launching a new effort to reduce the rate of preterm births in the city. The rate of premature births in Detroit is 18%, among the highest in the world. 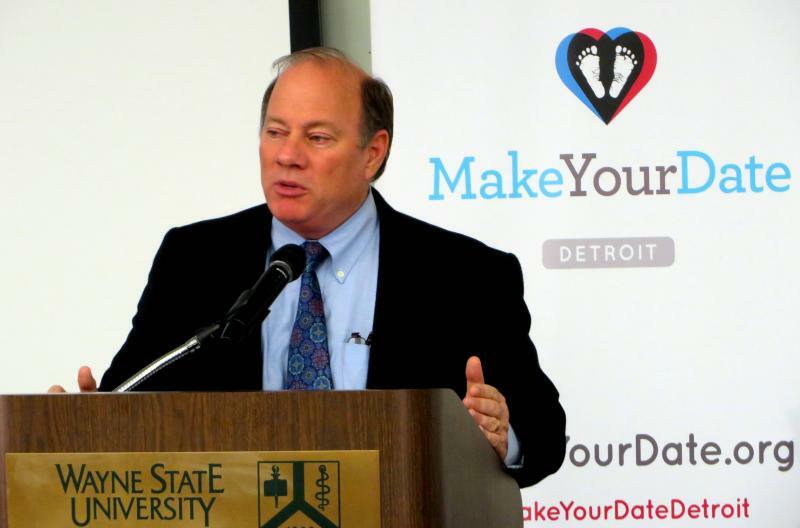 The city, Wayne State University and Detroit’s leading health systems are working together on the effort called Make Your Date. Mayor Mike Duggan outlined how the program simplifies the way pregnant women can find prenatal care. Impressions of Republican Gov. Rick Snyder are more negative than positive among voters, even when you factor out the heavily Democratic city of Detroit, according to a poll released yesterday. This poll was commissioned by Michigan Radio and its partners in the Detroit Journalism Cooperative. The poll is unique because it does not include voters from the city of Detroit. Listen to the entire story. A new poll shows Michigan voters outside of Detroit approve using state money to support the so-called “Grand Bargain” to bolster City of Detroit retirees’ pensions and protect the Detroit Institute of Arts' collection. The poll was commissioned by Michigan Radio and its partners in the Detroit Journalism Cooperative. It found almost half of voters outside the city of Detroit support the state government contributing $350 million to help solve some of the sticky issues of the bankruptcy. Forty-nine percent favor the contribution, 34 percent oppose it. 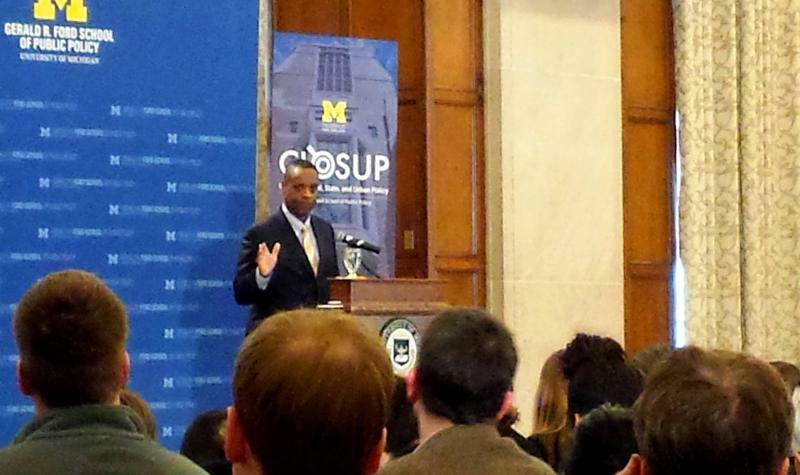 On the one-year anniversary of his appointment, Detroit’s emergency manager spoke about the latest developments in the city's bankruptcy in a speech at the University of Michigan.